Aallonhuiput is the doctoral student association of Aalto University with approximately 500 members. Our core activities include representing the doctoral students as well as organising events and invoking conversation about important topics. Most doctoral students are fully or partly employed by the university and are responsible for a variety of tasks: research, teaching, student guidance, holding presentations and many others. On the other hand, doctoral students are also students reaching for a prestigious degree. This dual identity is often forgotten as one doesn’t exclude the other. For this purpose, Aallonhuiput launched a campaign to highlight the dual identity of doctoral students of Aalto. The campaign consists of a series of five photographs showing students in interesting locations of our campus. Through the theme “We’re still here”, people are reminded of the invisible work not shown in our theses. 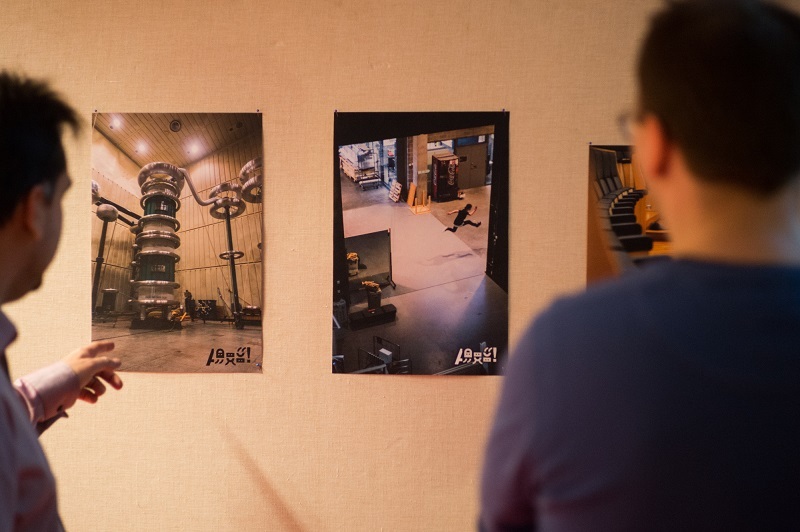 These photographs were taken by Aalto ARTS student Theofanis Kavvadas and they can be now seen as a gallery installation in the lobby of Otakaari 1 as well as most of the campus buildings starting from 14th of December. Additionally, social media photographs with messages from doctoral students are shared here.